Regular care for your feet is important to keep them in shape and keep them healthy, especially because they take beating everyday. I've never really cared for my feet for the longest time though because I take them for granted. And I dance, which makes it worse because I wear pointe shoes so I usually get a lot of bruises and wounds on my feet. 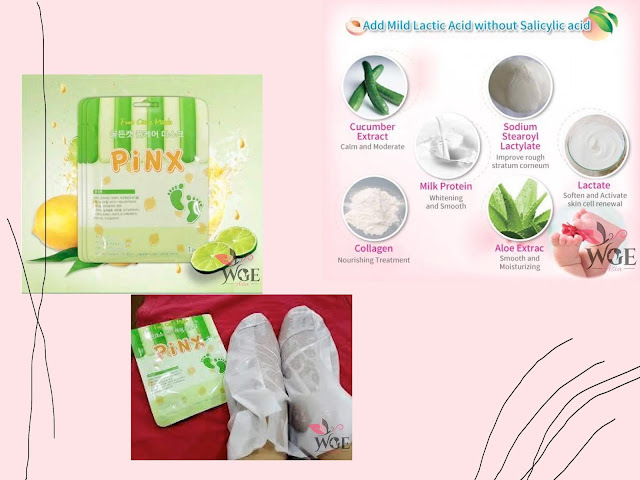 This peeling mask effectively removes calluses and dry flaky skin, helps in exfoliating the feet which makes them look more beautiful, makes your feet as soft as a baby skin, helps in keeping your feet smoother and tender, and it is suitable for all types of skin! 1. Before wearing the mask, fold the upper part into the inside of the mask. This will prevent the top side of the foot being moistened by the liquid. 2. After washing your feet with soap and water, wear the foot masks. 3. Leave the masks for 60 - 90 minutes. 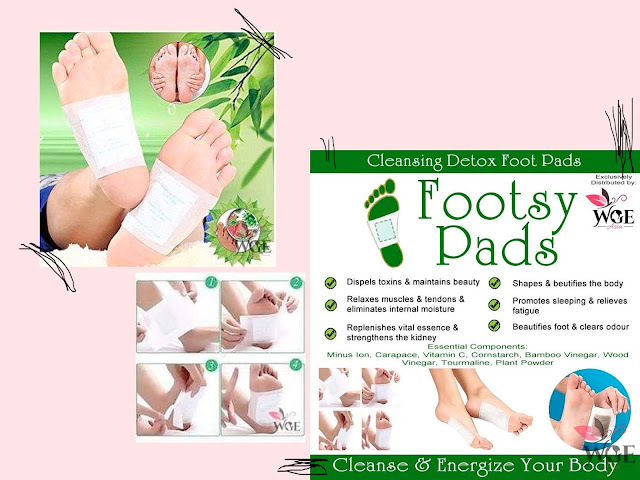 Cleanse your body from harmful toxins with this Detox Pads by Footsy and stay healthy! 1 pouch contains 5 pairs of pads and it is good for 5 days. This detox pads assists in natural cleansing, captures toxins which are eliminated by the body, promotes vibrant health and wellness, relaxes muscles and tendons, eliminates internal moisture, replenishes vital essence and strengthening of the kidney, shapes and beautifies your body, and promotes better sleeping and relieves fatigue. 1. One hour before your bed-time, apply the Footsy detox pads. 2. Wash and dry your feet or body part before application. 4. Wear for 8-10 hours then remove the pad. 5. Wipe surface with wet towel until it’s no longer sticky. 8. When the used kinoki patches show signs of lightening, apply once or twice a week for maintenance. 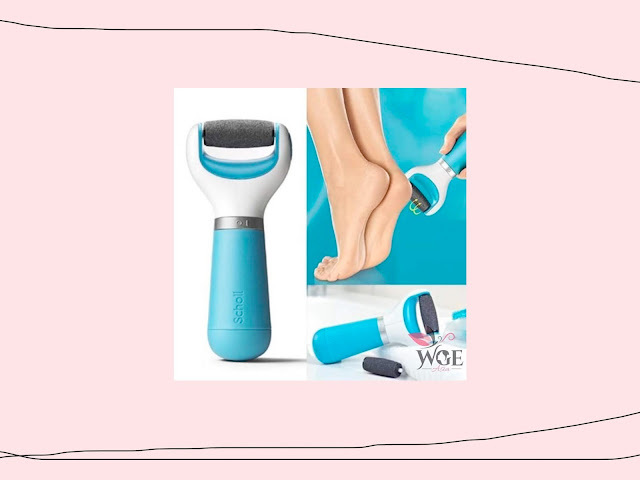 Scholl Velvet Smooth Express Pedi is an electronic foot file for removing hard skin at home, with professional-level results. Its Micralumina™ roller heads with micro-abrasive particles help quickly remove excess hard skin and ensure silky smooth feet after just one use. For future reference, retain the outer packaging. For full usage instructions, refer to the packaging of your Scholl Velvet Smooth Electronic Foot File. Here's an innovative foot care product that will make your foot smooth and soft like a baby's foot! With its unique formula of 17 types of natural extracts, it softens your feet which leaves them highly moisturized. Additionally, foot care mask can improve other foot issues such as foot odor, athlete's foot, and blood circulation. 1 pack has 1 pair of foot care mask. 1. In warm water, wash and soak your feet. This will enhance the absorption of the mask. For people with extremely rough heels, you may also scrub your feet prior of using the mask. 3. Remove the masks from the pouch and wear them as if you are wearing your socks. It is recommended to wear normal socks after to ensure that the mask will stay in place. Wear the mask for 1-2 hours (30 mins for sensitive skin). 4. With warm water, rinse your feet. 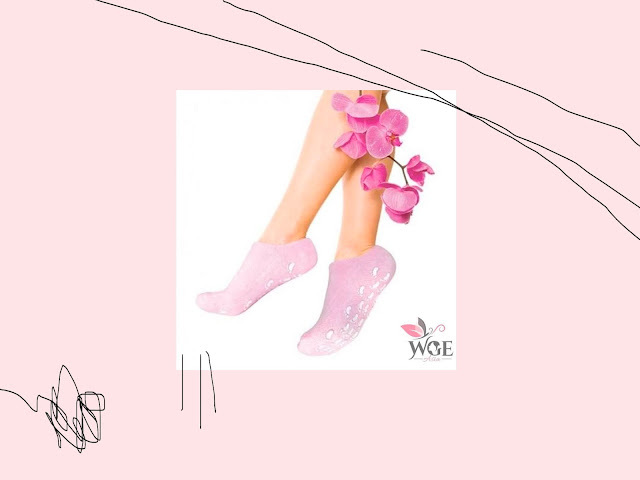 Say goodbye to cracked heels with this gel spa socks! Revive a younger and healthier pair of feet and repair those cells as this socks is filled with treatment gel, vitamin W, and essential oils. It will intensively moisturize your feet as it increases the moisture in your skin for up to 62%! 2. Apply moisturizers or foot creams for better result. 3. For 30 mins, wear the gel socks. 4. Remove the socks after 30 minutes and enjoy your moisturized feet. Let me know if you've already tried one of these products for your feet! Disclosure: This is a sponsored post for WeGotEverythingPH. However, as per usual, all thoughts and opinions are mine. 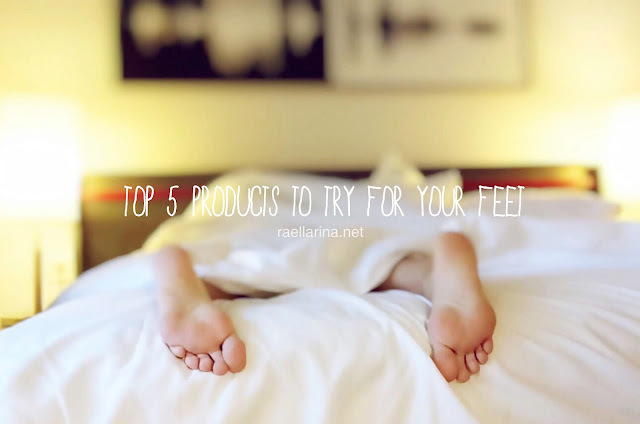 these seem like great products for our feet!